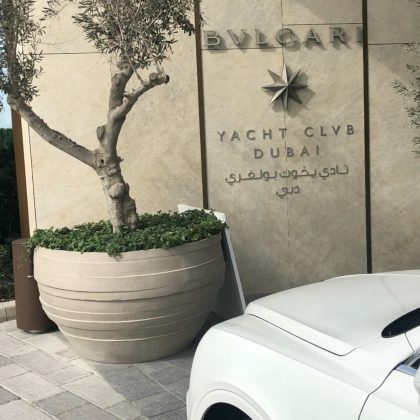 G-Eazy was “Living” when he was at the Bvlgari Yacht Club in Dubai, United Arab Emirates in April 2018. 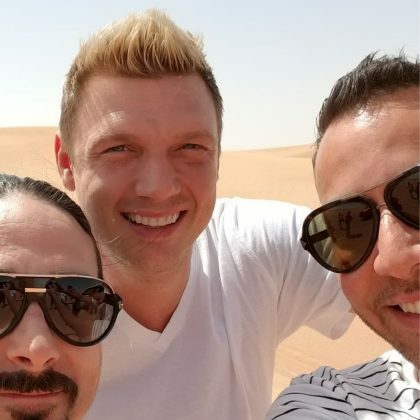 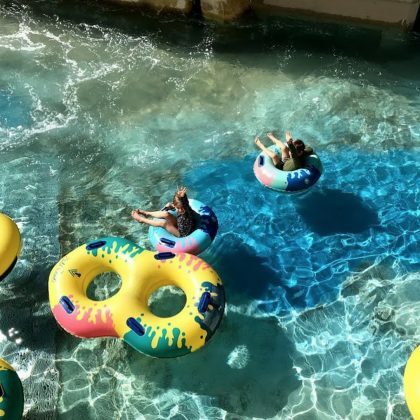 Backstreet Boys member Howie Dorough said he, Nick Carter, and Kevin Richardson “Had the full on desert experience” thanks to Dubai Desert Conservation Reserve Offices in April 2018. 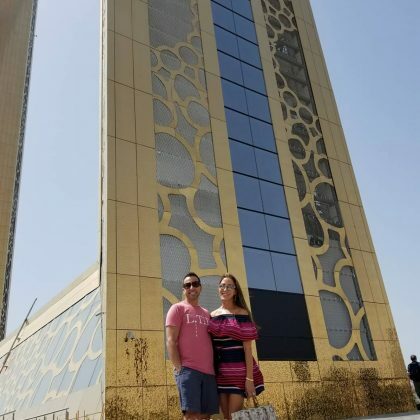 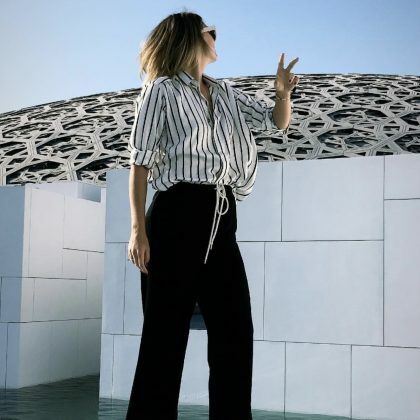 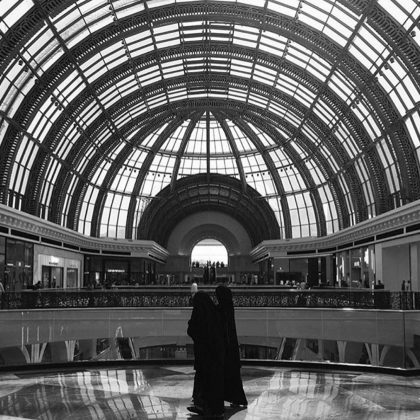 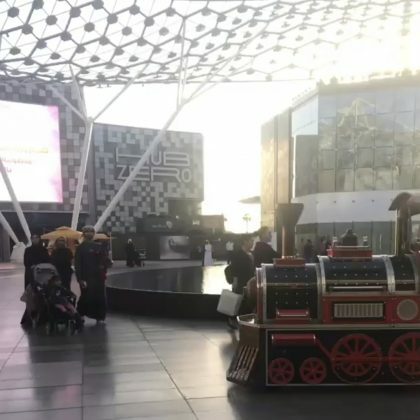 “What a fun first day and evening in Dubai” is what Backstreet Boys member Howie Dorough said when he and his wife visited the Dubai Frame in April 2018. 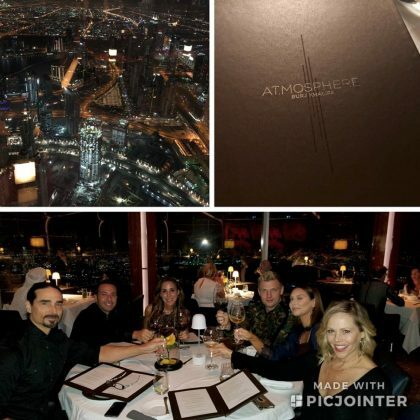 Nick Carter said he and fellow Backstreet Boys Kevin Richardson and Howie Dorough “decided to dine at the tallest building in the world” — the At.Mosphere fine dining restaurant inside the Burj Khalifa — in April 2018. 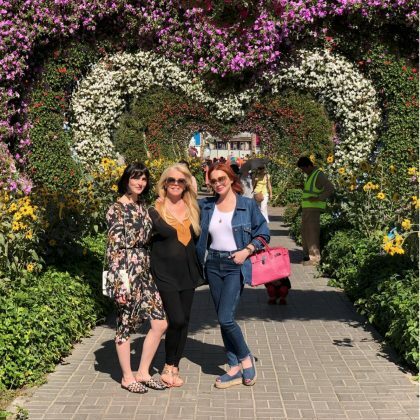 Lindsay Lohan spent “a beautiful blessed day with my two favourite women” — her mom and sister — at Dubai Miracle Garden in March 2018. 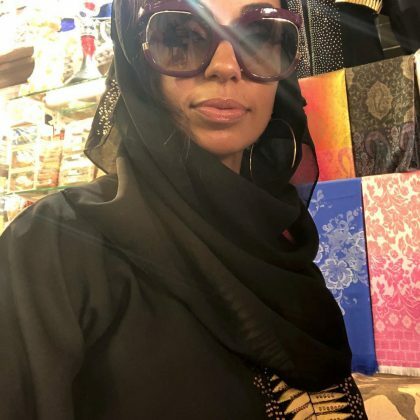 Lindsay Lohan snapped a selfie with some heart-shaped sunglasses on her head while at Abu Dhabi, U.A.E.’s Zaya Nurai Island in March 2018. 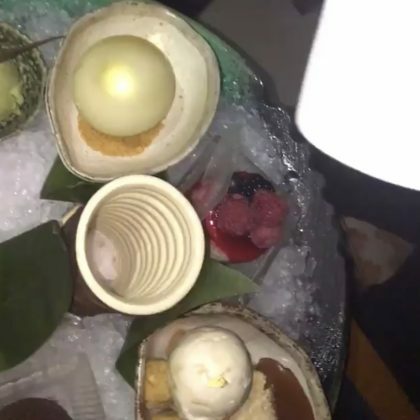 Omarion ate at Dubai, UAE’s Novikov, Dubai restaurant in February 2018. 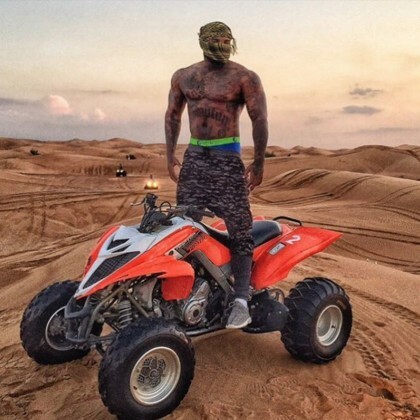 Tyga suited up for some time at the Dubai Autodrome in January 2018. 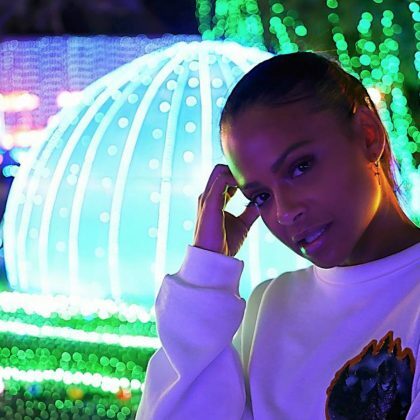 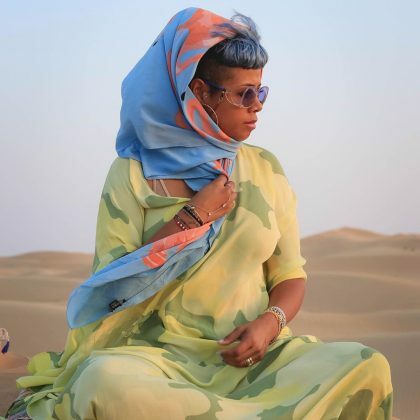 Christina Milian partied at BASE Dubai in December 2017. 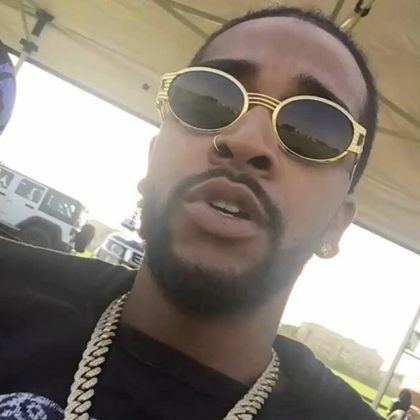 Omarion checked in at the Dubai Polo & Equestrian Club in October 2017. 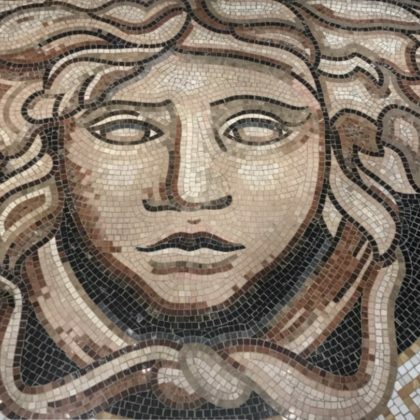 Tyga﻿ photographed an intricate floor mosaic Palazzo Versace Dubai in May 2017. 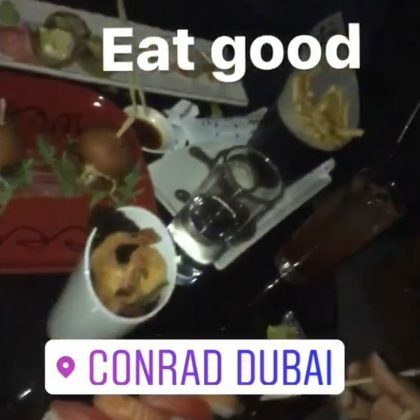 “Eat good” is what Omarion said when he was at Conrad Dubai in May 2017. 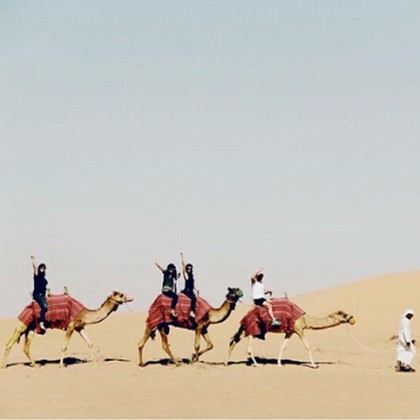 A shirtless Zac Efron kicked back with a camel when he was here in April 2017. 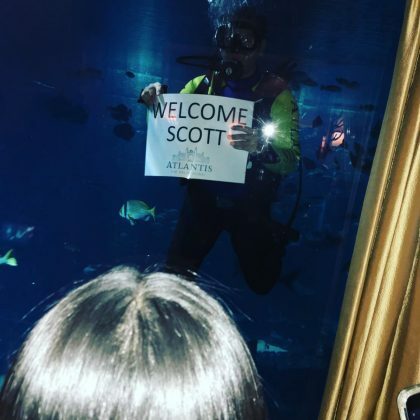 Floyd Mayweather﻿ traveled to this hotel during a March 2017 trip. 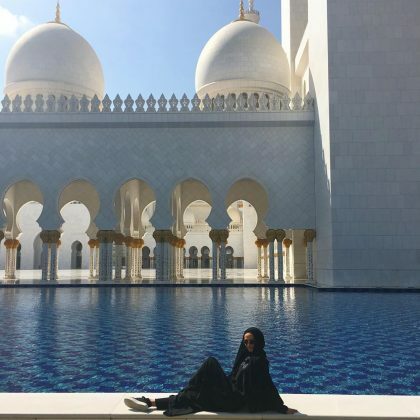 The Burj Al Arab provided a beautiful backdrop for Lindsay Lohan when she was enjoying “Family Time In Dubai” in March 2017. 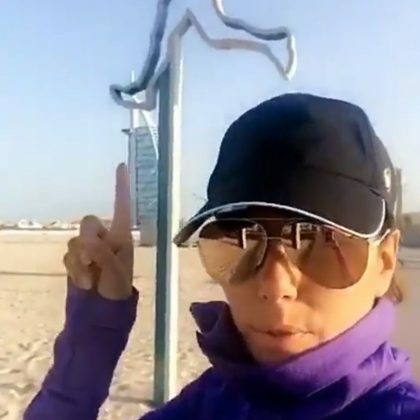 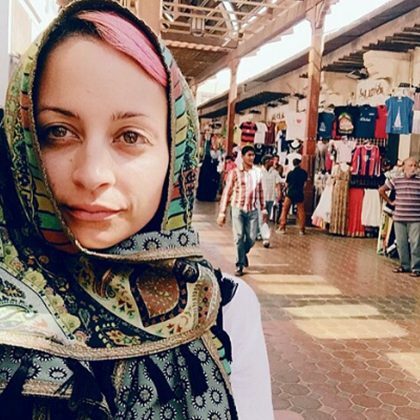 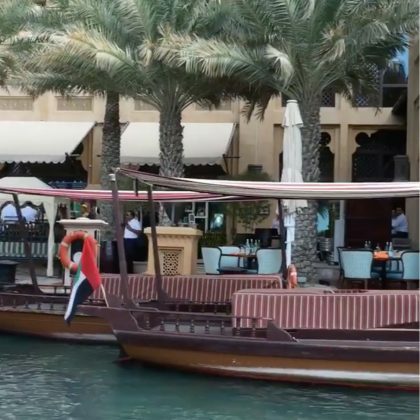 “Hi from Dubai” is what Karina Smirnoff said when she went on a “#boatride” around the Dubai Marina area in February 2017. 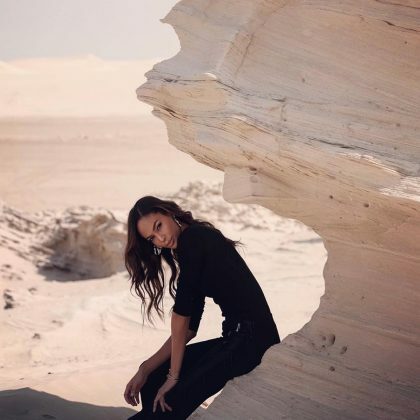 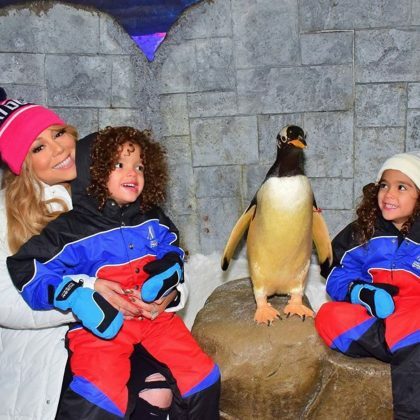 In February 2017, Karina Smirnoff called this “Such a cool place to visit,” shared a shot of her “Right before I got reprimanded for inappropriate posing,” and said it was “soooo worth it!” — It’s best to respect rules, so don’t copy her pose! 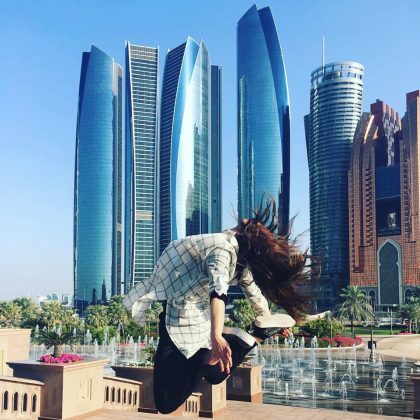 Karina Smirnoff﻿ was having “Fun in #AbuDhabi” while checked in to Emirates Palace in February 2017. 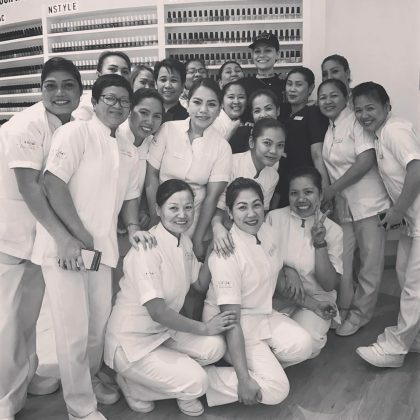 Jessie J﻿ “Had so much fun” when she was here in January 2017. 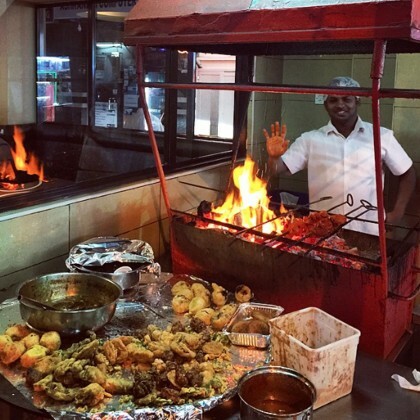 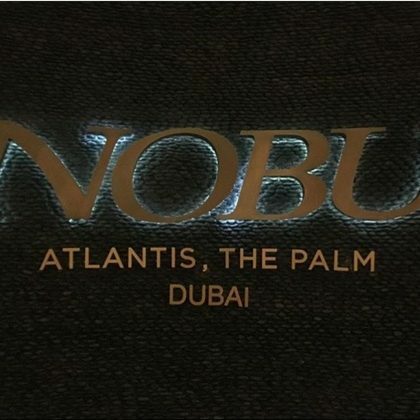 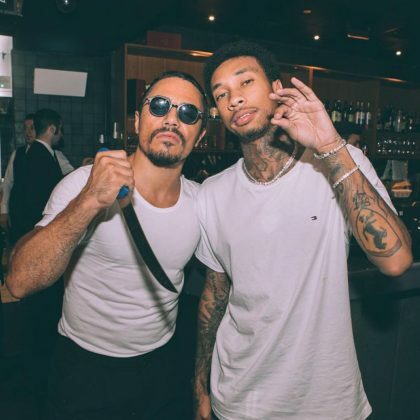 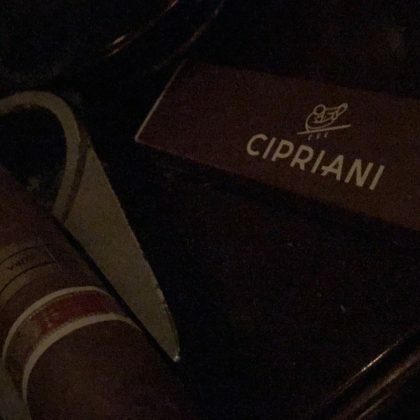 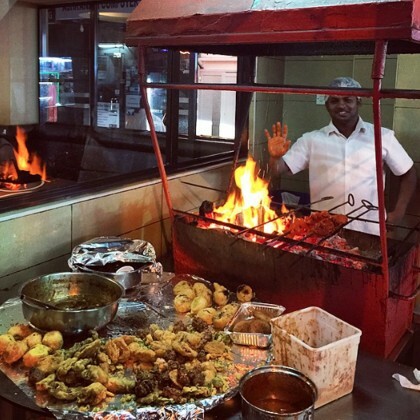 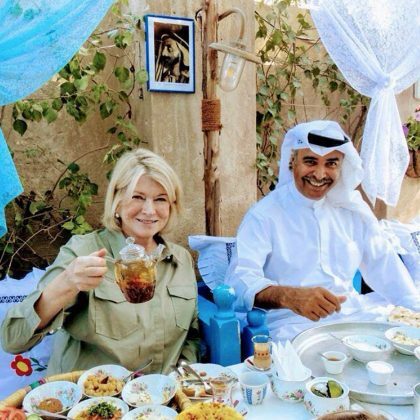 Miguel﻿ ate at Cipriani Dubai when he was in the area in January 2017. 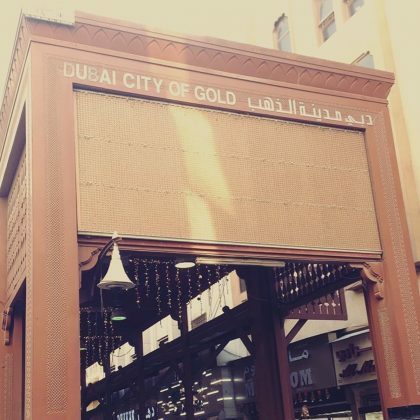 Miguel﻿ stopped by the gold souk when he was in town in January 2017. 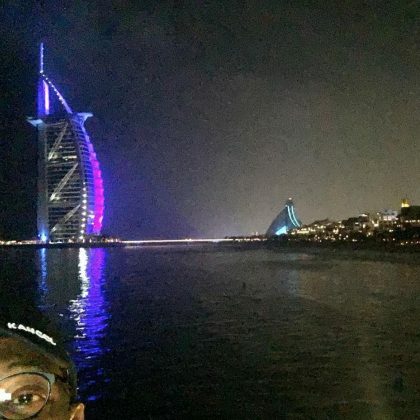 Samuel L. Jackson﻿ was checked in to Jumeirah Mina A’Salam while “Leaving lunch” and “headed to a press thingy” in December 2016. 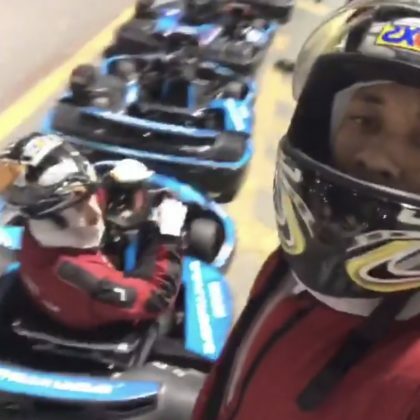 “What a race” is what Paris Hilton said after watching a Formula One race and hanging with Lewis Hamilton at Yas Island Marina Circuit in November 2016. 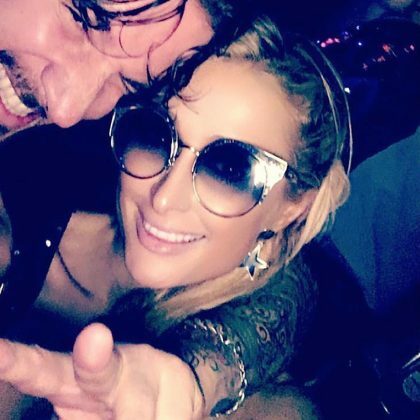 Paris Hilton﻿ enjoyed some “#GoodTimes” partying here in November 2016. 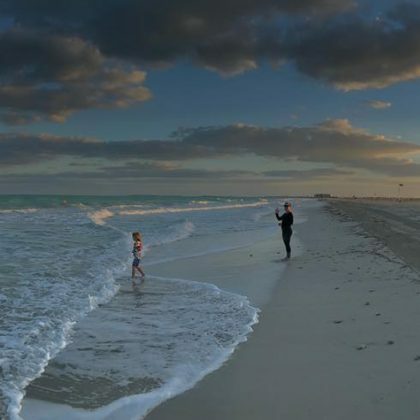 While checked in here in November 2016, a bikini-clad Alessandra Ambrosio enjoyed a “#sundayfunday” on the beach. 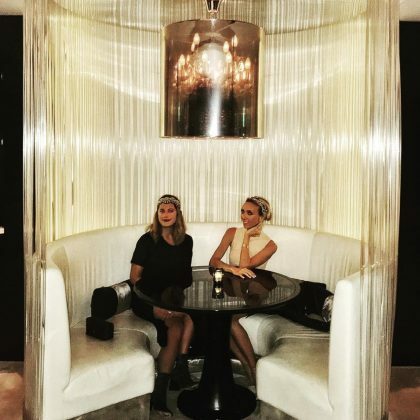 Giuliana Rancic﻿ did “Dinner…Dubai style” at Prime68 in October 2016. 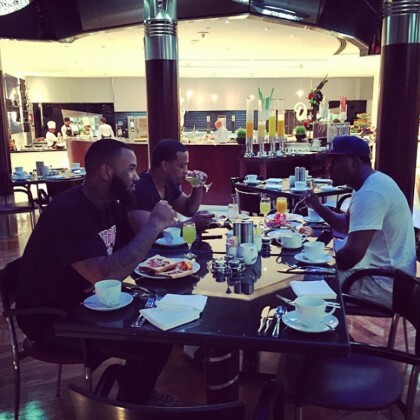 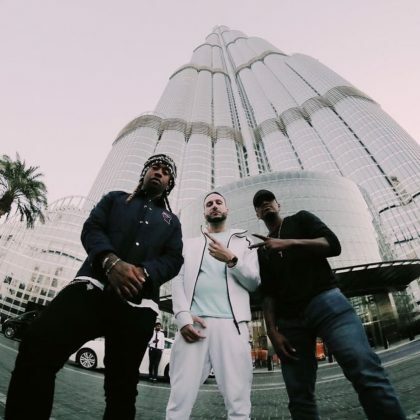 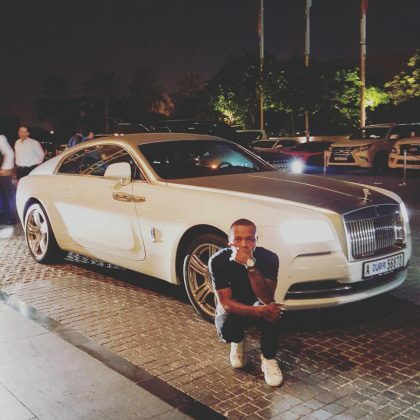 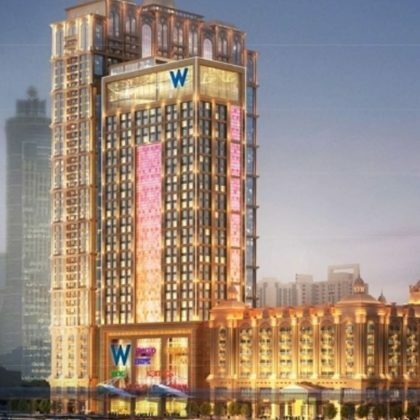 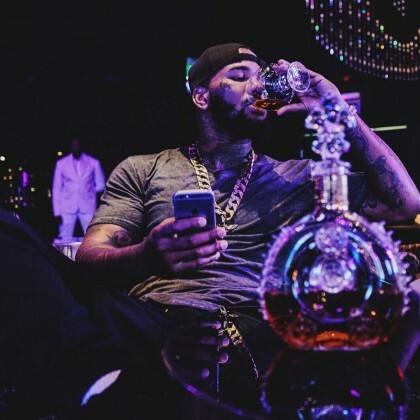 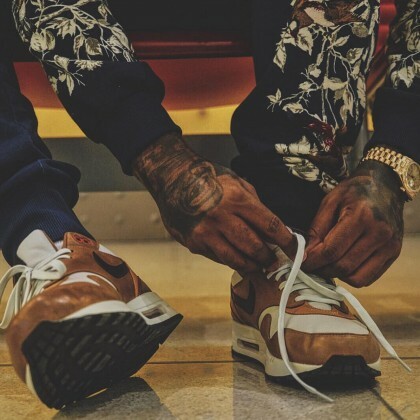 The Game﻿ checked in to the JW Marriott Marquis Hotel Dubai in February 2016. 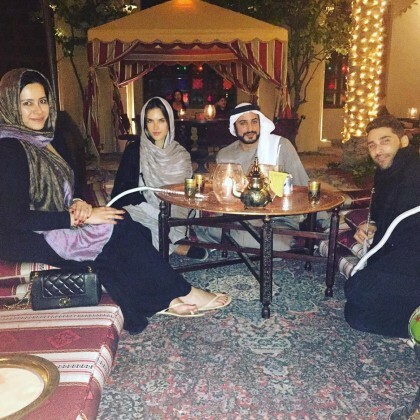 Alessandra Ambrosio﻿ spent one of her January 2016 “Arabian nights” at Tagine. 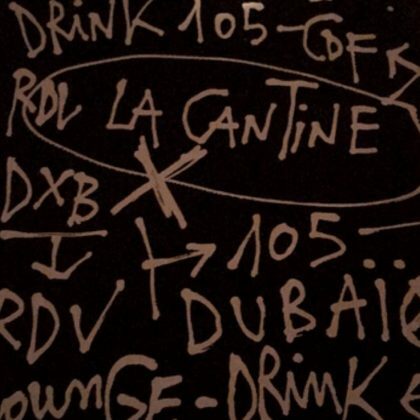 Alessandra Ambrosio﻿ was “Waking up in Paradise” when she was at the One&Only The Palm in January 2016. 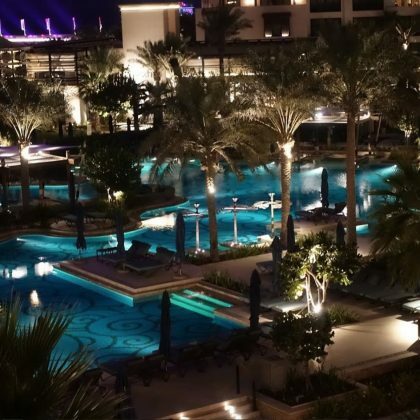 Eva Longoria exclaimed, “Wow what a view,” while checked in to the Four Seasons Resort Dubai at Jumeirah Beach in December 2015. 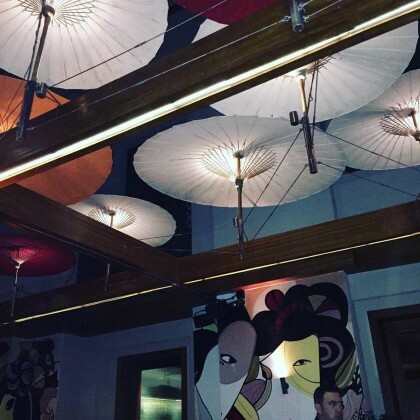 Ne-Yo went to Toko in December 2015 and was impressed with the “#GreatAtmosphereHere,” particularly the “Art and Umbrellas” on the ceiling! 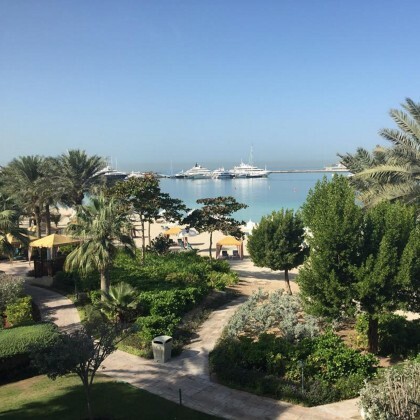 Lindsay Lohan laid back at Al Habtoor City in December 2015. 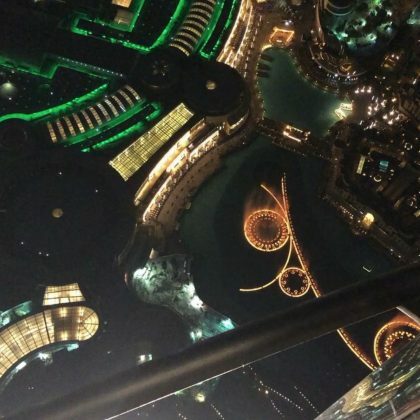 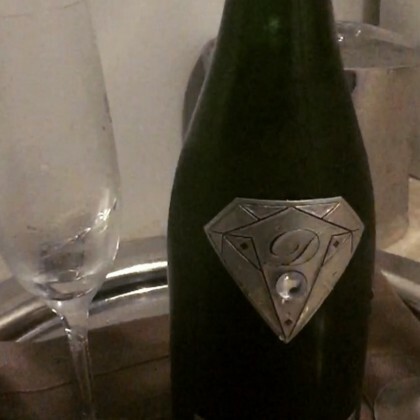 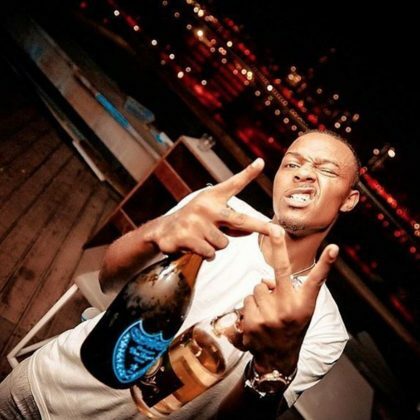 50 Cent enjoyed a drink while “At the AVENUE at ETIHAD TOWERS” in November 2015. 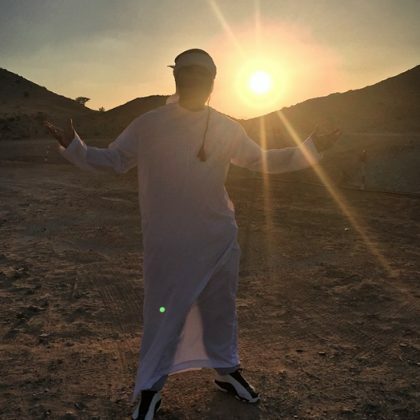 Dita Von Teese suited up for a “Desert holiday swim” at Banyan Tree Al Wadi in October 2015. 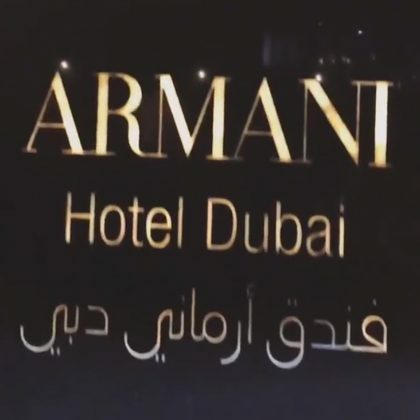 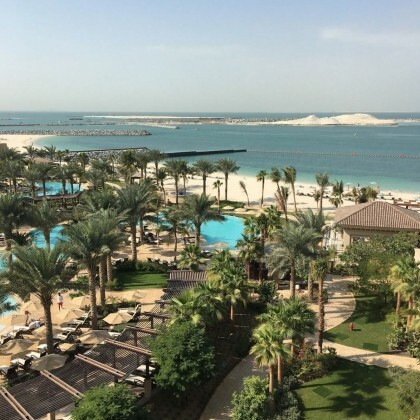 While checked in to the Hilton Dubai Jumeirah Resort in February 2015, ﻿Lindsay Lohan said she was loving the sun and was “Excited to come back and visit” friends here. 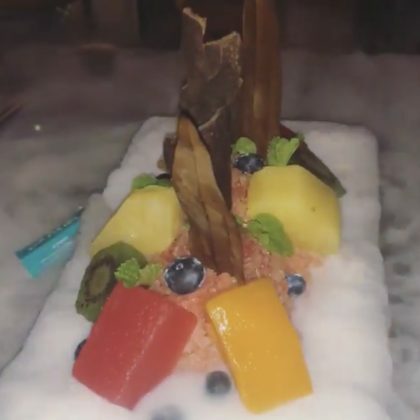 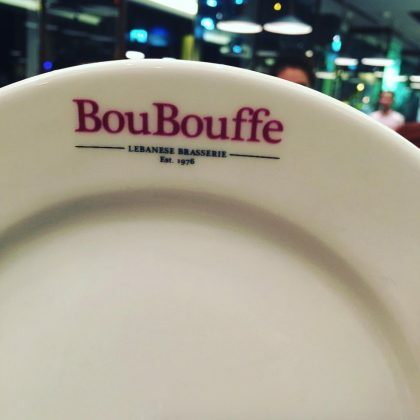 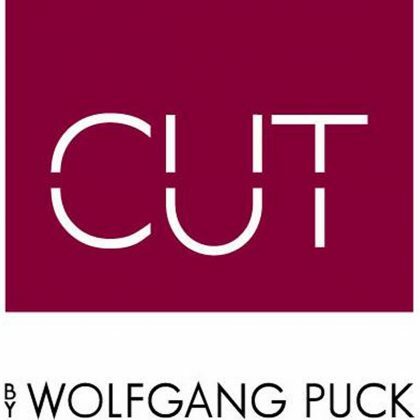 Eva Longoria wished everyone a “Merry Early Christmas” from Dubai after an “amazing dinner” at CUT by Wolfgang Puck in December 2014. 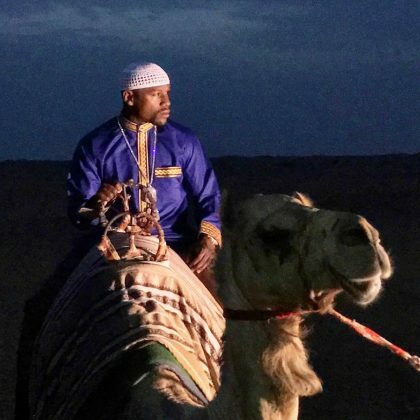 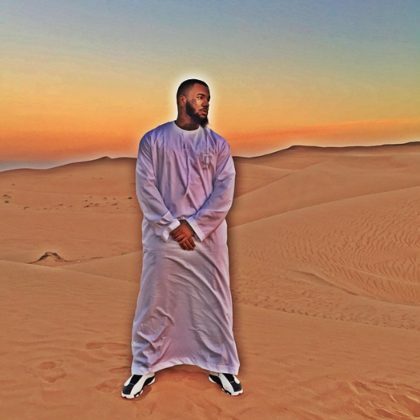 The Game﻿ stood on the sand in Fujairah and let out a “GEEZUS” in December 2014. 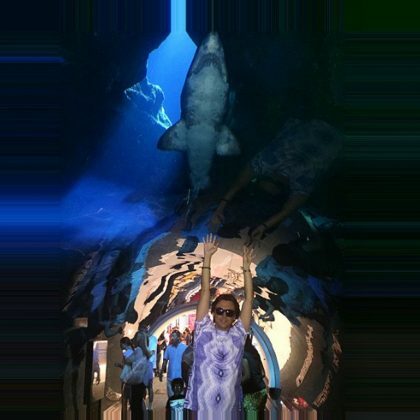 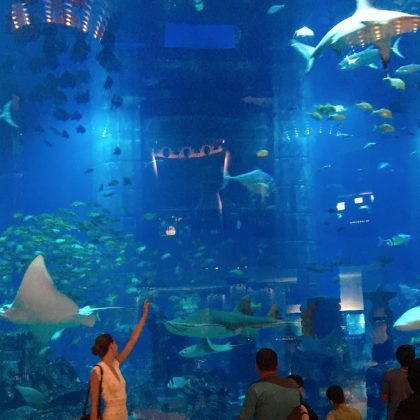 Jonathan Cheban declared, “Now this is an aquarium,” as a shark swam overhead in November 2014. 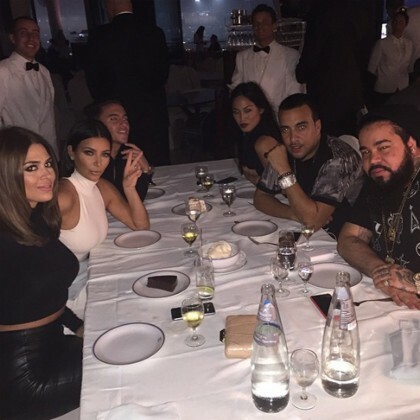 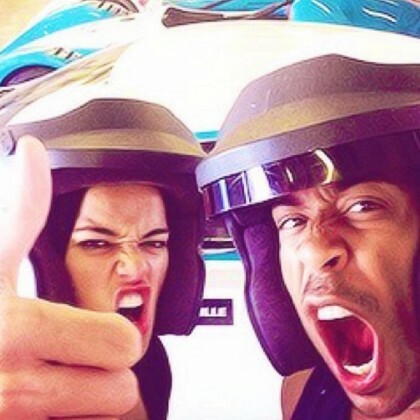 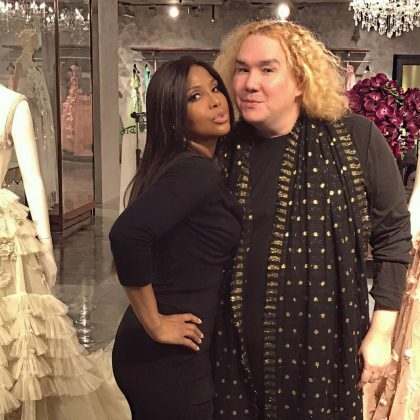 Khloe Kardashian had an “incredible time” here in October 2014 with friend Simon Huck. 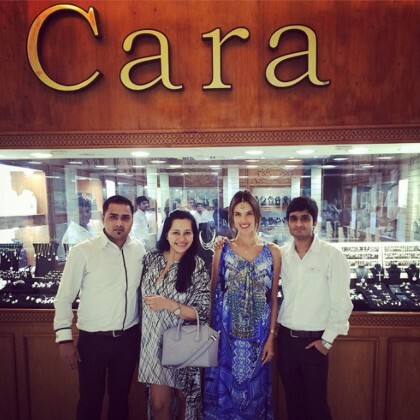 Alessandra Ambrosio went shopping here in October 2014. 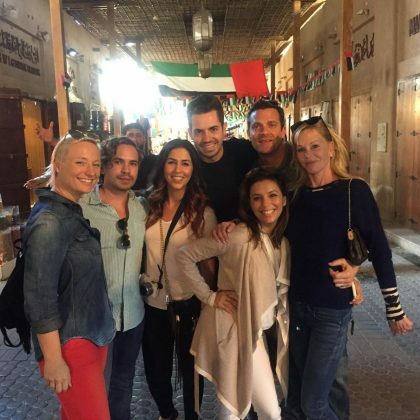 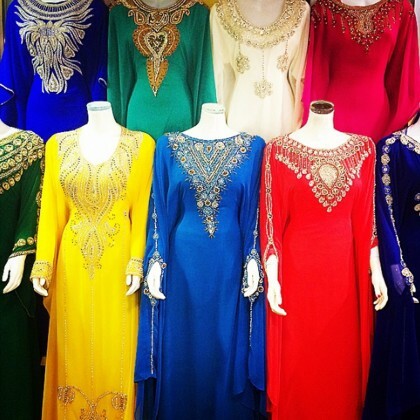 Nicky Hilton admired the colorful dresses while doing some “local shopping” at this street market in October 2014.